It looks pretty good on paper, but Acura’s 2016 ILX still won’t likely be a first choice among sport sedan aficionados looking for a compact, luxury 4-door commuter car. But that doesn’t mean that the folks at Honda’s high-end subsidiary aren’t trying. For the upcoming model year, this entry-level 5-passenger premium sedan boasts a number of changes that ought to make the upcoming version a bit more competitive in its particular marketing niche. 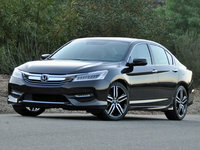 However, expect traditional competitors, such as Mercedes-Benz’s ultra-competent CLA-Class, Audi’s A3, and the surprisingly attractive and sporty Buick Verano to continue garnering more attention from both the media and consumers than this somewhat ho-hum Acura. Many in the media claim that this lack of overwhelming consumer interest lead to the deletion of the ILX Hybrid after the 2014 model year, as well as to the Japanese automaker scrapping plans for an ILX Coupe edition. In any case, the 2016 edition of this sport-oriented 4-door is slated to come in a single Base trim with a number of options packages, some revamped for 2016, delineating sub-trims. Additionally, the underwhelming 2.0-liter inline 4-cylinder (I4) base powerplant has been dropped for next year’s lineup in favor of the direct-injected 2.4-liter I4 mill that’s currently optional on the ILX Premium trim. 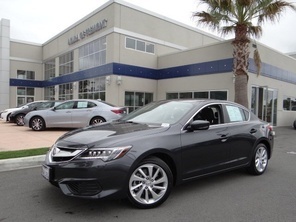 Also, the presently standard 5-speed shiftable automatic transmission is replaced by a super-capable 8-speed auto-manual gearbox with steering-wheel-mounted paddle shifters, which Acura claims will noticeably improve gas mileage and ought to add a little zest to the morning commute. But on the downside, the popular optional 6-speed manual transmission also bites the dust for 2016. Cosmetic changes for next year include new looks to the front and rear fascia, including narrower LED-integrated headlights, redesigned 17-inch alloy wheels, and upgraded cabin accents and upholstery. Additionally, the ILX’s once traditionally lackadaisical safety equipment will be bolstered by the modernized (and optional) AcuraWatch package. 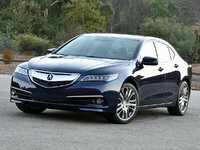 As mentioned, the ILX will greet the new model year with the once-optional 2.4-liter I4 powerplant as the standard mill. Managed by the new 8-speed auto-manual transmission, this engine will continue to make 201 hp, but the upgraded drivetrain is slated to put out 180 lb-ft of torque, 10 more lb-ft than the current version. Meanwhile, Acura claims estimated fuel efficiency for the 2016 ILX to be 25 mpg city/36 highway/ 28 combined. Appearance bling and creature comforts, most of which are found in the current Base edition of this semi-sporty sedan, will include a power sunroof, leatherette upholstery, heated front seats, a power-adjustable driver’s seat, and full power accessories. Also returning are such standard perks as cruise control, telescoping tilt-wheel steering, a rear-view camera, and dual-zone auto climate control. Bluetooth hands-free calling and a single-CD player boasting 6 speakers and auxiliary audio input again headline the standard techno-goodies for 2016. As for options, the Premium package returns next year sporting leather upholstery, sport front seats, a power-adjustable front passenger seat, memory for driver's settings, 7-speaker audio with satellite radio, a remote garage door opener, and an auto-dimming rearview mirror. The Premium with A-Spec package adds available 18-inch alloy wheels and a rear spoiler to the Premium package, while the Technology Plus package tosses in available voice-activated navigation via AcuraLink telematics, as well as Sun Sensor upgrades to lighting and climate control functions, and a 10-speaker stereo. Finally, standard safety equipment adorning the 2016 ILX is expected to remain 4-wheel antilock brakes (ABS), traction and stability control, front side-mounted airbags, front and rear head airbags, daytime running lights, and a remote antitheft alarm. Newly available for 2016, meantime, is the AcuraWatch package, which includes such safety-oriented upgrades as blind spot warnings, adaptive cruise control, lane keeping assistance, forward collision mitigation braking, and a multi-view camera system. Though based on Honda’s heady Civic, Acura’s upgraded ILX is a whole different animal, packing, as it does, a sportier suspension, more power, and a ton of added posh. Owners claim that the current edition’s smile-inducing handling characteristics beat the more civilized Civic hands-down, while a throatier engine sound will turn some heads at a green light. However, most owners agree that the idiosyncratic AcuraLink telematics functions still need work. 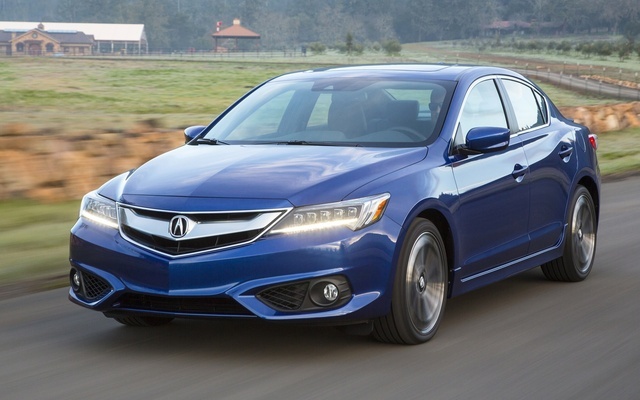 What's your take on the 2016 Acura ILX? GuruLS1Z6 Let me be one of many to sure my GOOD NEWS. I always wanted a Acura after the first time I driven one, now I have been adopted into the Acura family...im so excided! I decided to purchase a 2016 AcuraILX and im well pleased but greater is in the making for the up coming 2020AcuraILX. The Acura family are great! they go over and beyond their call of duty... to make sure that their customers are satisfied, therefore if your looking for a very nice luxury smooth sailing riding on cloud nine reliable vehicle...I will recommend my Acura family where you will get good customer service at all time!! Acura2016 ILX ! Have you driven a 2016 Acura ILX?